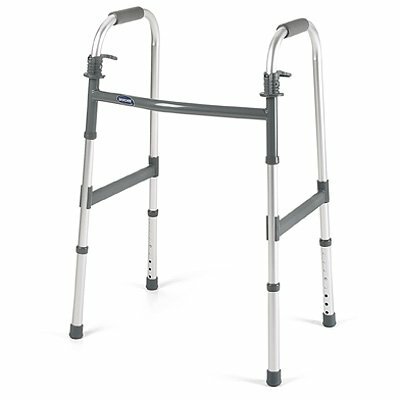 6291-1 Features: -Composite lower side brace stiffens walker frame and adds stability.-Folding mechanisms are easy to reach from a seated position.-Lighter and easier to lift and maneuver.-PVS handgrips wear longer and provide greater comfort.-Walkers fold easily for transport or storage.-Weight capacity: 300 lbs. Dimensions: -Overall Depth: Open: 17-1/2'' Folded: 4''.-Recommended user height: 5'3'' - 6'4''. Warranty: -Warranty: 5 Year Limited Warranty.